Song lyrics TAKE A DREAM!! 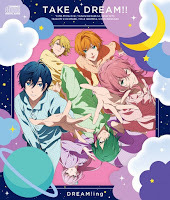 Album DREAM!ing 1stシングル TAKE A DREAM!! Zenryoku zenshin de susume go my way!